Sinus relief products can offer a safe, natural, drug-free solution to soothe and relieve sinus pressure, congestion, and pain. Sinus and nasal irrigation is an excellent method for achieving relief if you suffer from allergies or sinus infections. Powered Sinus and Nasal Irrigation Systems uses a pulsating action that is clinically proven to clean and improve the cilia found in your nose allowing the cilia to work better, helping to reduce sinus infections and other allergy symptoms. Steam inhalers, neti pots, and nasal rinsing lotions should all be part of your fight against sinus pain and infections. Gain relief by cleaning and clearing your sinuses gently and pleasantly with the same sinus irrigation system used by professional sports teams and athletic trainers. Sinus pulsatile irrigation systems are proven to relieve post nasal drip, gently wash away dust, dirt, allergens and pollen, as well as improve ciliary flow, clear congestion and prevent sinus infections. Help relieve allergy, cold or flu systems as well as sinus, throat and respiratory irritations with soothing steam vapor. 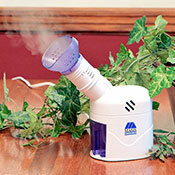 Our steam inhaler heats up within 60 seconds to delivers a steady steam vapor with adjustable steam output. It is fast and simple to get relief from sinus pain which should disappear within about ten minutes. 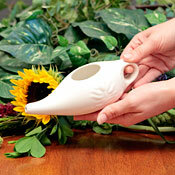 Get much needed sinus relief and sooth dry nasal passages by gently washing away dust, pollen and irritants with the neti wash Neti Potâ„¢ complete sinus cleansing system. For first time users, our Neti Pot Starter Kits are a simple and easy way to begin sinus cleansing and include everything you need to begin nasal rinsing. 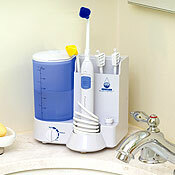 We have drug-free nasal rinsing systems that offer a low cost way to provide relief from nasal irritation, dryness and symptoms associated with allergies and colds. This is an affordable alternative to power irrigators and puts you in control of the saline flow for optimum comfort and effectiveness. Get relief from sinus pain now!